NEW YORK – January 4, 2011— Bravo starts the year off on a high note as Golden Globe-winner Jim Carrey, one of the most sought-after guests in “Inside the Actors Studio” history, takes the hot seat on Monday, January 10th at 8pm et/pt. Leaving no stone unturned, Lipton courses through Carrey’s early days as a class clown in school to the janitorial job he had to take in order to support his family. Carrey talks about how he developed his character for Ace Ventura and reveals that his technique was similar to Anthony Hopkins method for creating Hannibal Lector. 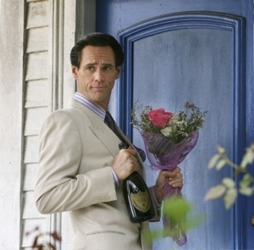 Carrey traverses his career from In Living Color, The Mask, The Truman Show and his most recent blockbuster hit, I Love You, Phillip Morris, which was just nominated in the category of “Best Comedy” for the 16th Annual Critics’ Choice Movie Awards. Bravo is a program service of NBC Universal Cable Entertainment, a division of NBC Universal one of the world’s leading media and entertainment companies in the development, production, and marketing of entertainment, news, and information to a global audience. Bravo has been an NBC Universal cable network since December 2002 and was the first television service dedicated to film and the performing arts when it launched in December 1980. For more information, visit www.BravoTV.com. Follow us on Twitter at https://twitter.com/BravoPR. This entry was posted on Wednesday, January 5th, 2011 at 11:46 am	and is filed under Celebrity Bites, Celebrity Gossip, Celebrity News, Celebrity News & Juice, Movies & Films, News, Potpourri, Ramblings On Current News & Events, TV's Picks & Pans. You can follow any responses to this entry through the RSS 2.0 feed. Both comments and pings are currently closed.